The Puma EvoKnit polo features EvoKnit seamless construction and engineered stretch panels for ultimate fit, unrivaled comfort, and freedom of movement. The polo also features dryCELL moisture wicking technology that draws sweat away from the skin to keep you cool and dry throughout the day. 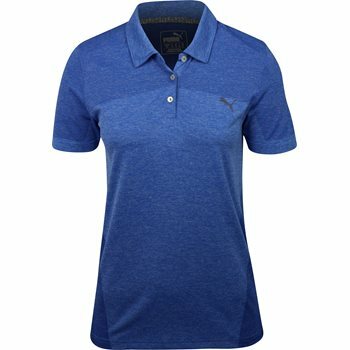 Design details include the puma logo at the left chest, a 3 button placket for closure adjustability, and lightweight fabric for comfort and breathability.